When Dell announced Q3 2012 fiscal results today, The VAR Guy took a closer look to get a feel for how Dell's server, storage, networking and cloud services businesses were evolving. Sure, The VAR Guy still cares about traditional PCs and server sales. When Dell announced Q3 2012 fiscal results today, The VAR Guy took a closer look to get a feel for how Dell’s server, storage, networking and cloud services businesses were evolving. Sure, The VAR Guy still cares about traditional PCs and server sales. But ultimately, acquired offerings like Boomi, Compellent, EqualLogic and Force10 Networks promise far more growth for Dell PartnerDirect channel partners. Here’s the update. First, the reaction from Wall Street: Dell’s Q3 2012 revenues were $15.365 billion, essentially flat compared to Q3 FY11. Net income for Q3 2012 rose a healthy 9 percent to $893 million. The bad news: Dell has missed quarterly revenue expectations for five straight quarters, an analyst told The Wall Street Journal. Dell shares are down about 1.2 percent in after-hours trading, according to TheStreet.com. 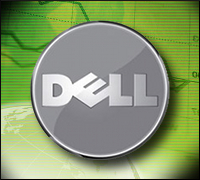 Dell remains a company in transition, not it crisis mode. Dell’s channel strategy continues to accelerate, though Dell’s mix of channel products continues to evolve. Revenue for Dell’s enterprise solutions and services businesses (servers, storage, networking and services) rose 8 percent to $4.7 billion, an all-time high, Dell claimed. Server and networking revenue rose 13 percent. Storage revenue grew 23 percent. Dell Services revenue grew 10 percent. Still, Dell faces challenges. Revenues in the lucrative SMB market rose only 1 percent to $3.7 billion. And Dell warned investors that macroeconomic challenges coupled with a worldwide hard drive issue is putting pressure on its business. At the same time, Lenovo — citing third-party industry research — claims it has overtaken Dell in terms of worldwide PC market share. Dell works with the channel when it suits their interest and will drop the channel when it is momentarily not in their interest (similar to Oracle). All of their products are second or third rate. They will be moderately successful undercutting IBM and Oracle, but they are never going to be as profitable as the leaders. They only get into markets when it is obvious that a market exists and try to offer a lower cost version of the leader’s products. When you only compete on price, the margins are always going to be poor. Constructive criticism such as yours will always be welcome on The VAR Guy. Quick question: Do you consider Compellent, EqualLogic, Force10 and Boomi second- or third-rate products and services? Did those products/services suddenly become less-than-good once Dell acquired them? The VAR Guy would argue that Dell has acquired some quality products and cloud services in the past year or so… All sold through the channel? Certainly not. But Dell has pushed beyond the commodity PC conversation.